In a bid to "contextualise" the comments, the RSS in a statement issued by spokesperson Arun Kumar said Joshi had made these remarks on Thursday at the ongoing Kumbh in Prayagraj in Uttar Pradesh. 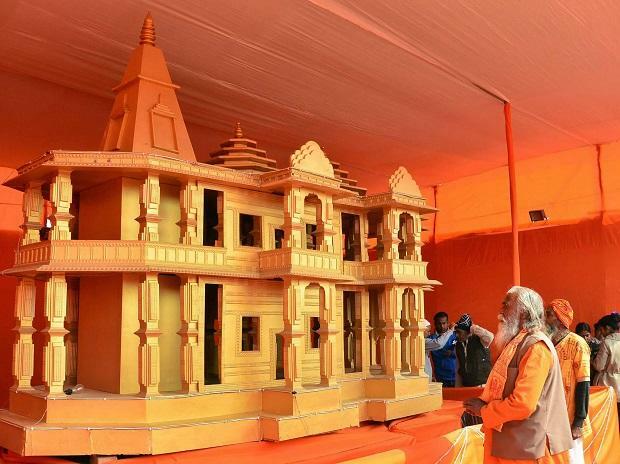 "When Kumbh is again held after six years in 2025, the construction of Ram temple, which is a symbol of India's national honour, will be completed and the nation will move towards prosperity," the spokesperson quoted Joshi as saying. Joshi, who is number two in the hierarchy of the Sangh, made these remarks at the time when its allied organisation VHP is demanding the government to enact a law which paves the way for construction of temple in Ayodhya. In Varanasi, Telecom Minister Manoj Sinha said that not just the BJP but the majority people of this country wants Ram temple to be built in Ayodhya at the earliest. Sinha said the government will build the temple as per the guidelines laid down in the Constitution.